Professor Athula Sumathipala summarises the events of a two-week Ethics Teachers’ Training Course (ETTC) which took place on 20th February for two weeks in Sri Lanka. The training was delivered jointly by the United Nations Educational, Scientific and Cultural Organisation (UNESCO) and the Institute for Research and Development (IRD), and aims to promote quality ethics education by building professional international networks of ethics teachers. 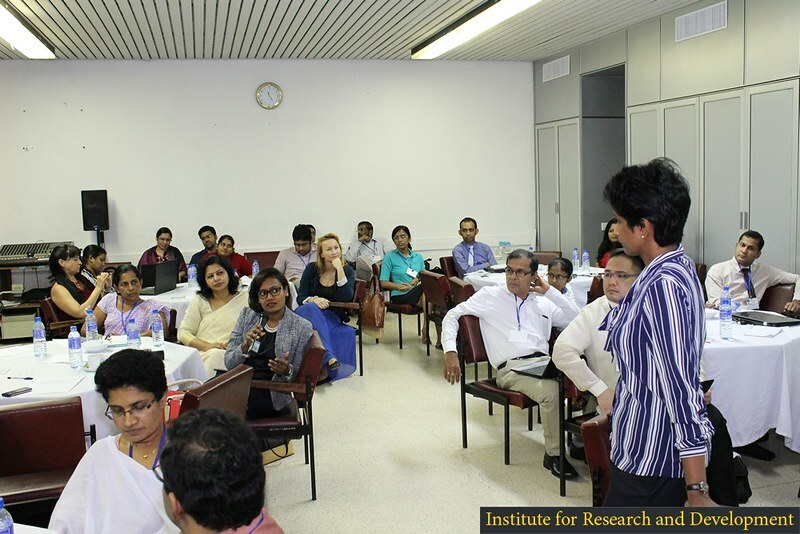 The Research Institute for Primary Care and Health Sciences (‘iPCHS’) has established strong collaborative links with the Institute for Research and Development (‘IRD’) as well as many other academic groups and institutions in Sri Lanka. As part of the iPCHS global health initiative, I attended the Sri Lankan Ethics Teacher’s Training Course in February, which was co-delivered with the Jakarta UNESCO Office and the IRD and coordinated by Irakli Khodeli. I was joined by a group of global experts in ethics education, who all share a common interest; advancing quality ethics education by building professional capacities of ethics teachers. The training took place in Colombo, Sri Lanka and was kicked off with a fantastic inauguration ceremony with chief guest, Minister of Science, Technology and Research, Hon. Susil Premajayantha, in attendance. After the ceremony, I joined a round table discussion with experts in the field of bioethics, as well as Sri Lankan ethics committee members. There was some exciting debate, which aimed to answer what the needs, challenges and specificities of ethics teaching are in Sri Lanka. These discussions were a precursor for an overarching initiative to popularise ethics as a broader subject among students and enhance the capacity for teaching ethics as a subject. For the first four days of the event, myself, Professor Bert Gordijn (Director of the Institute of Ethics at Dublin City University), Professor Muzaherul Huq (Senior Advisor for the World Federation for Medical Education), Professor Marie-Geneviéve Pinsart (Director of the Department of Psychology, Ethics and Science of Religion and Secularism) and Dr Buddhika Fernando (Coordinator of Bioethics Initiative at the IRD) facilitated a number of sessions. It was great to see so many participants engage in the training, with 30 participants joining us from local areas, and 5 participants representing India, Japan, Indonesia, Poland and South Africa. Dr Jonathan Ives (Deputy Director for the Centre of Ethics at the University of Bristol) joined us on the second week to discuss the implementation of a research project entitled ‘Participant’s perspectives on bio banking: A qualitative study in Sri Lanka’. The study, funded by the Wellcome Trust, aims to assess the attitudes of the general public towards establishing a bio-bank in Sri Lanka; the IRD established a bio-bank in Colombo which pulls data from a 10,000 population based twin registry. An ethics workshop was also delivered by the Ruhunu University Medical Faculty and the Sri Lanka Foundation Colombo 7, which was facilitated by the ethics review committee, with myself and Dr Jonathan Ives presenting two guest lectures at the Kothalawela Defence University in Colombo. Although Ethics Review Committees and their capacity is reasonably well established in Sri Lanka, ethics as a broader discipline or subject has not been established in Sri Lankan Universities just yet, and this two-week course has definitely been a step in the right direction. The promotion of ethics as a broader subject among students is at the forefront of this initiative, and thus, enhancing the capacity for teaching the subject. As an ethics expert, these two weeks also provided a bi-directional learning experience, demonstrating that there is a need to be more and more familiar with the cultural sensitives in ethics teaching; an exercise of reciprocal capacity building.